CPM Student TutorialsCPM eTool IssuesTrouble Shooting eTools How do I delete the popup which opens every time I launch the eTool? Provide the URL of the page the lesson is on. Go to the paper and pencil icon and Save the eTool again. 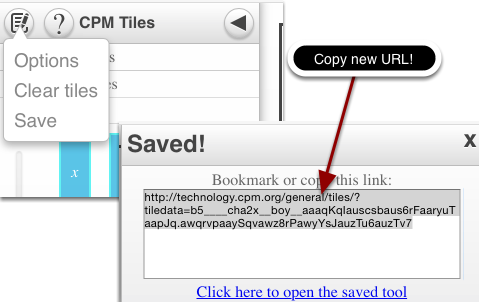 Use the new link which will not have the popup!